Many of us will have heard of the rather legendary tale of ‘The Prince and The Pauper’, which revolves around a prince, and a beggar, who look exactly the same, and thus decide to switch lives for a short while. Even Disney picked up this tale in 1990 and gave it their own personal touch. It seems Beggar Prince also wants to shove this classic tale to the foreground of their game, albeit with a lot of humor, witty dialogues and an overall renovating atmosphere and theme. Even though this game was already published in 1996, but sadly not in English. Super Fighter Team, known from other translated and refurbished retro games such as Magic Girl and Cascade, took it upon themselves to translate the game, put it in a nice cover and allow the rest of the world to play this game. While initially shipped in 2006, the last batch of carts still proved to be a success. 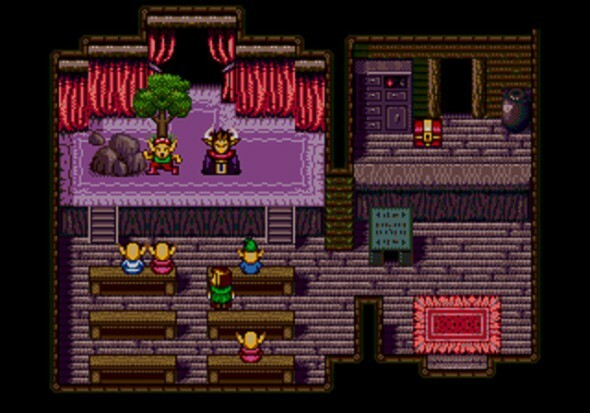 We are more than happy to have the chance to dive into this classic RPG. The heir of the throne of Shatt Kingdom is probably the most spoiled and rotten brat anyone has ever laid eyes on, and this is probably due to the fact every whim or wish is granted whenever he asks for it. Nonetheless, the prince grows tired of always remaining inside the castle walls, where he is constantly being tutored by the ‘cat minister’, who happens to look like a walking and talking cat. During one of the prince’s latest schemes, he escapes from the castle, to take a look at the town that surrounds it. To his amazements he runs into a young beggar, who happens to look exactly like him. Both boys agree to switch places for a day, which seemed like a good idea at the time. Sadly, when the prince wanted to return to the castle, the guards would not believe it was him, and to make matters even worse, soon after the kingdom seems to be slowly decaying. People start to turn into cats, the king and the fake prince are imprisoned, and only one spoiled kid has the ability to save the kingdom. Overall the story of Beggar Prince is rather simple, yet quite catchy and interesting. The touch of everyone turning into cats is quite funny, and the many witty and somewhat rude dialogues make this game stand out from many other RPG titles on Sega’s console. While this game is clearly retro, the story and said written dialogues feel quite modern, which creates a very fun ‘hybrid’ game with a still relevant storyline. 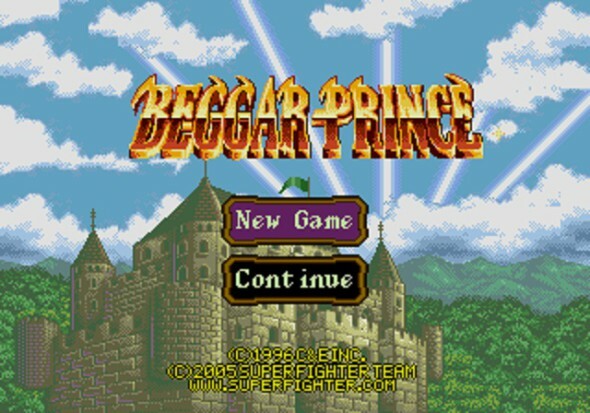 Keeping in mind the hardware this game runs on, Beggar Prince looks simply amazing and has a massive amount of details crammed into this 16 bit game. Not only are the environments diverse, colorful and filled to the brim with nice backdrops, and small trinkets for you to uncover, it’s the characters and enemies that truly look very advanced for a game that runs on Sega’s antique hardware. You’ll be treated to very smooth animations, fun battle effects and simply a game that still looks attractive even if you would release it as a download title on our current generation of consoles. The game is filled with rather upbeat tunes, not that much better than you’d hear on a NES, but with a few extra layers to them. While many tunes get repeated over and over, they actually remain catchy throughout the entire game, and many different areas still have their own background track. The sound effects are rather simple, some even feel as if they were used in other games as well, albeit with very subtle changes. Overall this part of the game adds to the overall cheery atmosphere of the game, even with the somewhat ominous plot. Beggar Prince is a classical RPG game, which means you’ll be roaming around the world a lot, talking to everyone in sight, all while crawling through dungeons, fighting off the many monsters that will randomly attack you. Overall the concept of the game is very simple and traditional, for example the zoomed out view of the world when running around on the map, outside of towns or dungeons, but for a game this old, it still has a few innovative mechanics. From the get-go you’ll be thrown in the game, left to explore on your own outside of the palace walls, with only the same resources a normal pauper has, thus you’ll have to start from the bottom, collecting items and other resources as you go. Of course, to continue your travels, you’ll often find yourself completing certain objectives in order to ‘unlock’ the following segments of the game. This means that more than often, you’ll have to find specific items, be it keys or other trinkets, to unlock gateways or doors to a boss fight, which will then allow you to proceed. 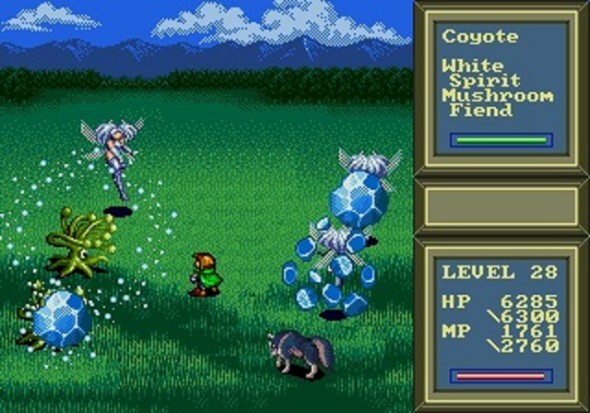 Combat is quite original in this game, as you’ll be playing solo for the entire game, thus you won’t pick up any party members along the road. You’d expect combat to be quite relaxed, but most of the time, you’ll find yourself surrounded by four to six monsters, in a turn based format. Each team has an action bar, and every move slowly depletes said bar, or quickly depletes it if you opt for very strong spells. This means that, even though the enemies will nearly always outnumber you, they will only be able to make as many moves as you, as a team, versus you as a solo character. Killing off enemies will not reduce the number of moves the remaining foes have, which means that if there’s only one enemy left, he can attack multiple times more than he would have been able to in his original team formation. The leveling system in the game is rather straightforward, as you’ll simply level up by killing enemies, and in turn your basic attacks will get stronger, new spells with get unlocked and your HP and MP gauges will increase exponentially. 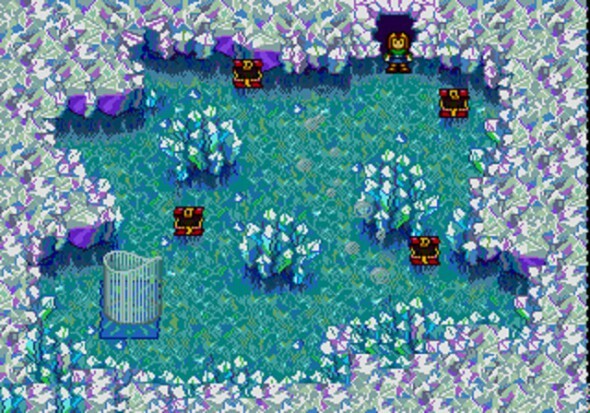 Overall the game allows you to keep up with the strength of your enemies quite well, without having to grind too long before completing certain dungeons. This means that you’ll be able to fully enjoy each dungeon, as well as the story, without having to constantly get yourself into useless battles, simply to gain more and more experience. We wouldn’t exactly call this an extremely difficult game, as your character can keep up with the action rather fine, it’s just that, in today’s games we’re used to having the game hold our hands, and give an indication of what we have to do, and where, at all times. Beggar Prince follows real retro games in that asset, as it hardly ever tells you what you’ll have to do in a precise fashion, which makes it a bit harder for those who have issues with uncovering ‘the next step’ in games such as this. That being said, even with a bit of backtracking now and then, your path is laid out before you in still a fairly manageable way. Even for those who think they might wander off a bit too far, or are afraid something nasty will happen, save points come by rather frequently, and you’ll also be able to save when roaming around on the map. 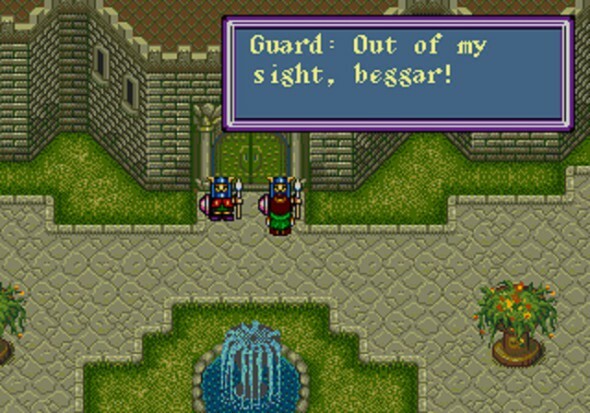 Beggar Prince is one of those games you should consider picking up if you still have a working Mega Drive/Genesis, and you’re into RPGs. This game is one of those few gems that stand out in the horde of available titles for the system, be it original or homebrewed ones. If you like a good chuckle throughout a very traditional RPG, with a fun combat system and a reasonable amount of areas to explore, be sure to keep track of the available copies of this one.